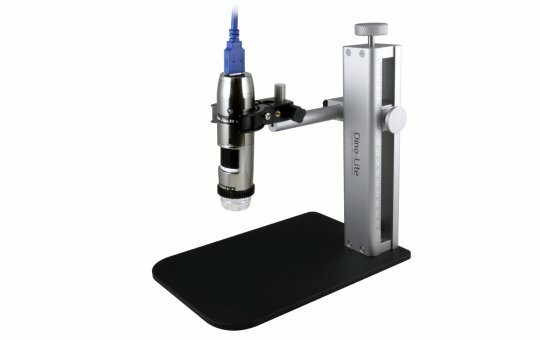 USB Microscope Dino-Lite AM73915MZT | SARRAS e.U. High Resolution (5MP): This model has a 5 megapixel sensor for crystal clear images, even under higher magnification. Because of the very high resolution, it is the ideal solution for displaying microscopic images on large screens or using the microscopic images for printing. Polarizer: The built-in adjustable polarizer reduces glare and reflection on shiny objects. High Speed Interface: This model is part of the high-speed real-time series and offers a maximum speed of 45fps at 1280x960 and 15fps at 2560x1920 by taking advantage of the USB 3.0 interface. Metal Housing: Protects the microscope from damage in tough environments. EDOF: The Extended Depth of Field feature automatically stacks images at different focus level to improve the depth of field on rough or uneven surfaces. EDR: With the Extended Dynamic Range feature, the details of darker or brighter areas within the object can be revealed by stacking images at different exposure levels. Flexible Light Control: Flexible LED Control: The light intensity of the LEDs can be adjusted through the software on six different brightness levels - the selected LED brightness level affects all switched-on LEDs. Furthermore, a sector control of the LEDs is available: the eight LEDs are divided into 4 sectors (two adjacent LEDs form a sector). You can turn each sector on and off separately. FLC-enabled Dino-Lite models achieve the greatest flexibility in terms of lighting control. AMR: Automatic Magnification Reading means that the current magnification is automatically read by the software and the user does not need to enter it manually - useful if you perform often measurements. 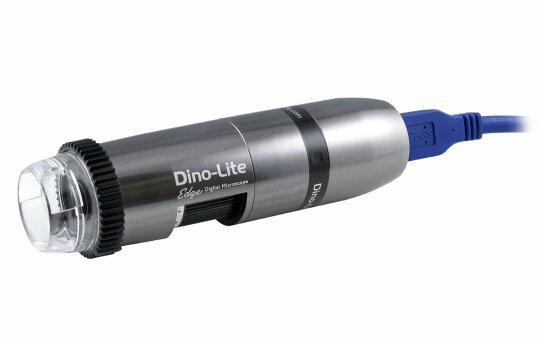 For a comparison of all Dino-Lite models and features click here to visit our Dino-Lite product information page. A professional, reliable software environment is essential when working with computer equipment like an USB microscope. All Dino-Lite USB products are equipped with an in-house developed software suite with measurement capabilities. The Dino Capture software is continuously developed, is free of charge for Dino-Lite users and has an automatic update feature.